For Sale Thread: CLICK HERE!! Whoever buys these needs to send me some photos of them on their car. 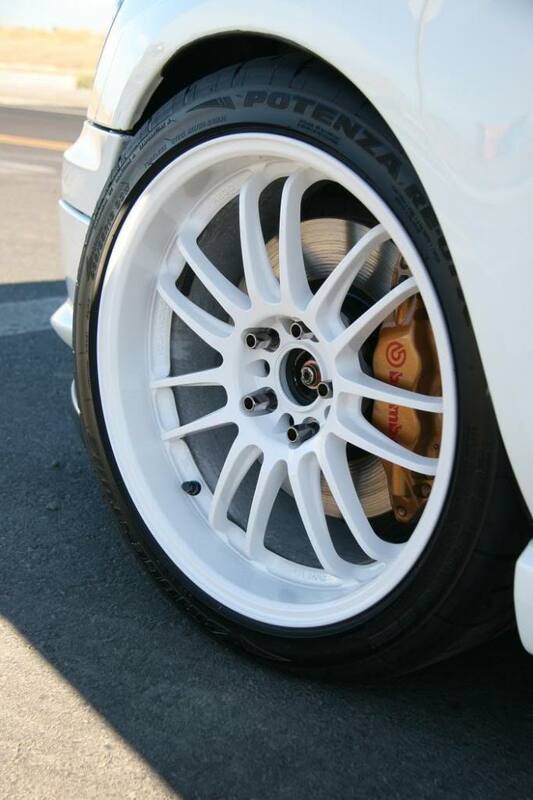 These white Volk Racing RE30s would look perfect on a WRB 2011 STi Sedan. Who is up for the challenge. You can contact Adam via Nasioc (AdamBOMB_STi) or IWSTI (BM_STi). You can also shoot me an email or leave a comment. I will keep this post updated when he sells them, hopefully slap a few pics of them on their new owner’s car. If there are any questions on fitment for your car/setup don’t hesitate to comment or email. I have these wheels on my 07 Toyota Yaris in 15×7 with a 35 offset. I love them!